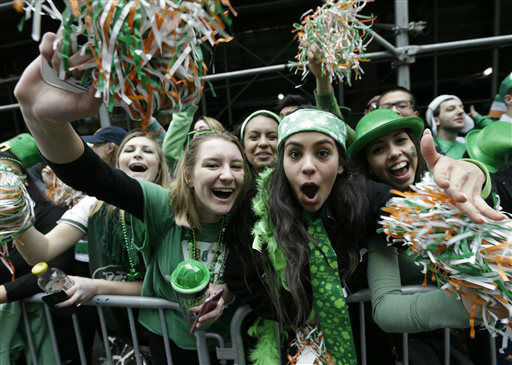 NEW YORK (WABC) -- New York City's annual St. Patrick's Day Parade will take place Thursday at 11 a.m. in Manhattan. 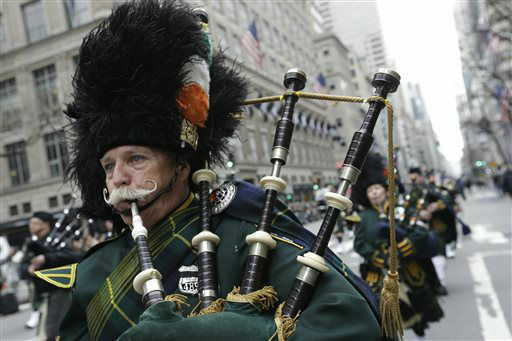 The parade begins on 5th Avenue at 44th Street. 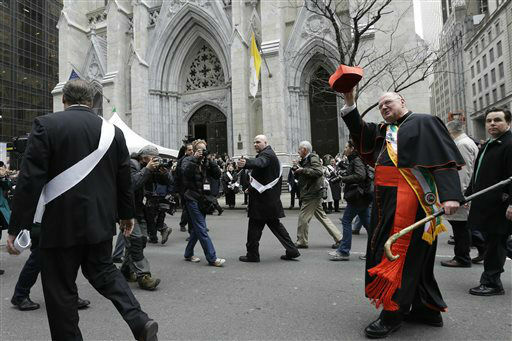 It ends on 5th Avenue uptown at 79th Street at around 4:30 p.m. Senator George Mitchell will serve as the Grand Marshal. 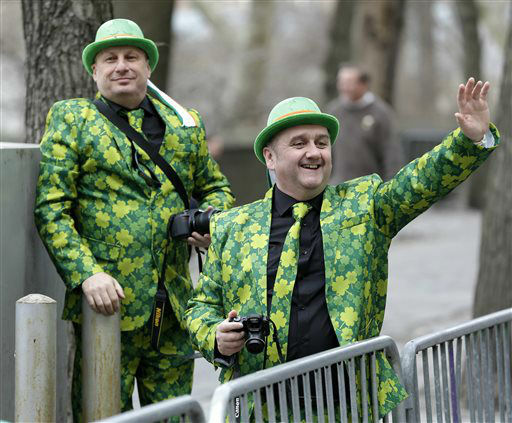 Unlike last year, Mayor Bill de Blasio will attend the parade. 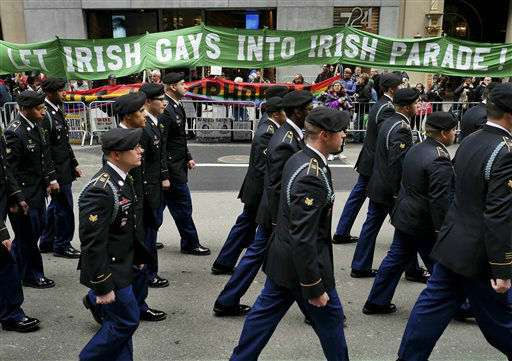 He skipped the parade in 2014, when no gay groups were allowed to openly march, and he skipped again last year, when only one small lesbian, gay, bisexual and transgender group was permitted. 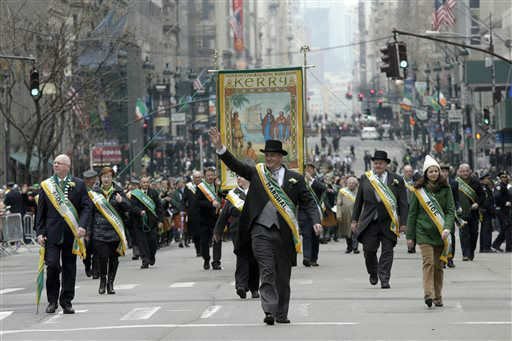 Some 2 million people lined the streets or participated in last year's parade. 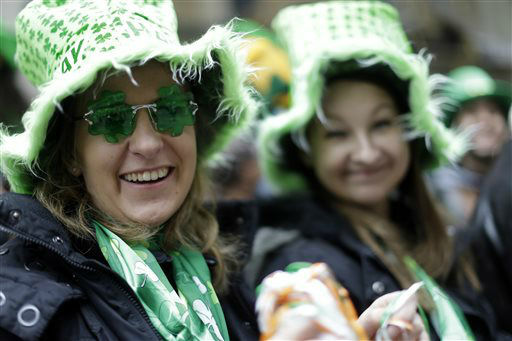 The Long Island Rail Road and Metro-North Railroad will operate extra trains to help those traveling to New York City for the 255th St. Patrick's Day Parade on Thursday, March 17. Customers are advised not to bring alcoholic beverages, open or closed, on trains, platforms and stations through 5 a.m. on Friday, March 18. Alcoholic beverages will be confiscated by the MTA Police. Bar carts at Grand Central and Penn Station will not operate this day. At the 77th Street station on the 6 Subway line, near the parade's end point at 79th Street and Fifth Avenue, the NYPD may designate some staircases at the station as entry/exit only on both the uptown and downtown platforms for crowd control. 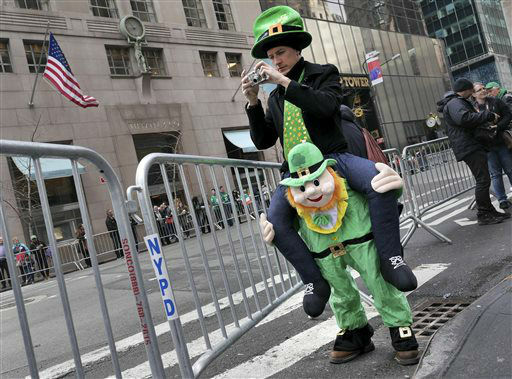 The following NYC Transit and MTA Bus routes will be detoured in the area along the parade route: M1, M2, M3, M4, M5, M31, M42, M50, M57, M66, M72, M79, BxM2, BxM3, BxM4, BxM6, BxM7, BxM8, BxM9, BxM10, BxM11, Q32 and most Staten Island express buses. 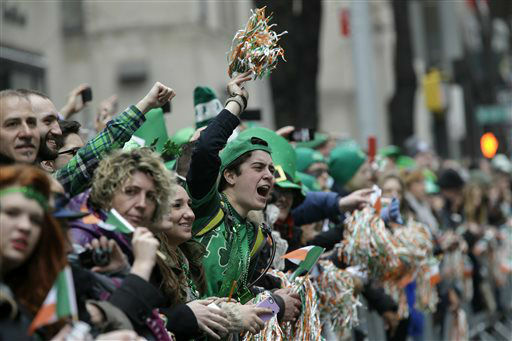 MTA Bridges and Tunnels urges parade-goers to take mass transit. As always, motorists should never get behind the wheel of a car if they've been drinking. Throughout the day, there will be increased vigilance at all MTA crossings to combat drunk driving. Visit MTA.info for more information.